Exercises about question words. 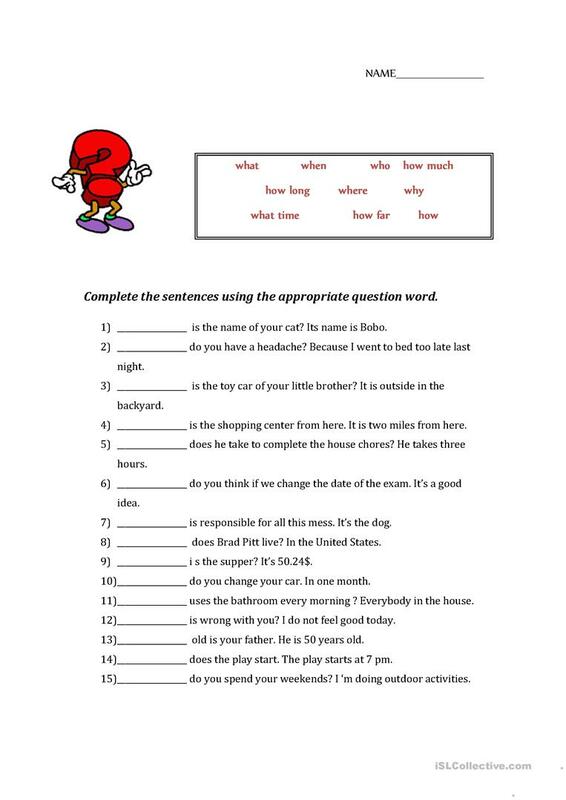 The student needs to choose the correct question word for each sentence. All question words are in the rectangle. They can be used more than once. The present downloadable worksheet is a great resource for elementary school students at Elementary (A1) level. It is aimed at consolidating Questions: WH questions (open-ended questions) in English. erpar is from/lives in Canada and has been a member of iSLCollective since 2012-11-08 00:20:58. erpar last logged in on 2019-01-10 21:32:12, and has shared 2 resources on iSLCollective so far.